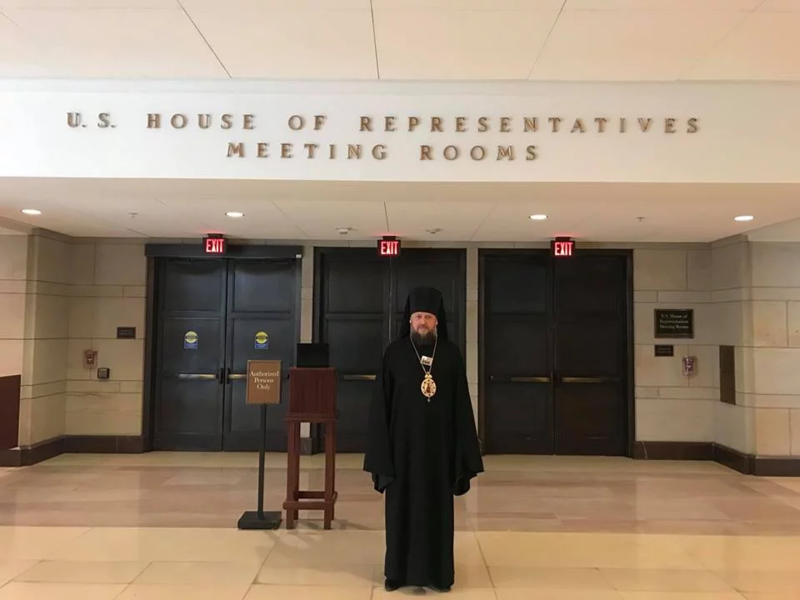 The State Border Guard Service denies deportation of bishop of the Ukrainian Orthodox Church of Moscow Patriarchate Gedeon (Yury Kharon) to the U.S. The service states about his voluntary departure to Germany as spokesperson Oleg Slobodyan reported on Facebook. “Today in the morning at 06:30 am, Yury Kharon (Gedeon) got a flight back to Frankfurt. He departed voluntary, without enforcement, in good health and mood. He promised to return,” Slobodyan wrote. However, Facebook of Kharon states: “His Holiness was deported to the U.S.”. “The armed gunmen led me to the plane as a criminal,” the message said. Besides, the supporters of Gedeon states on his Facebook that the passport of the bishop was supposedly taken by the SBU and it drew up a report about loss. According to the report, which was published on the social network, the foreign passport in the name of Yury Kharon was confiscated as it is registered as the lost, stolen or invalid. As we reported Ukrainian bishop Gedeon was detained at Boryspil airport and was not allowed into Ukraine after his visit to the U.S. Earlier we reported that the special services of Russia tried to destabilize the religious situation in Ukraine. They offered money to people who could set fire to the church buildings of the Moscow Patriarchate. Besides, the occupational authorities of Crimea demand from the clergy and the churchgoers to get out of the building of the Ukrainian Orthodox Church in Simferopol.